Large bank lenders like TD are most likely to feel the pinch. TORONTO – For the fourth time in five years, Canadian banks’ leashes have been pulled a little bit tighter when it comes to mortgage financing. As reported by Reuters’ Andrea Hopkins, earlier this month the federal government made a cautious move to restrict the dollar value of mortgages insured by the Canada Mortgage and Housing Corporation (CMHC)’s National Housing Act Mortgage Backed Securities. As a result, only $350 million worth of new guarantees can be issued over the course of this month by any one lender. That limit applies only to August – the remaining months of 2013 will see limits set via a “formal allocation process,” Hopkins reports. CMHC told Reuters the new change comes after a Canadian spring real estate market that saw higher sales than expected. 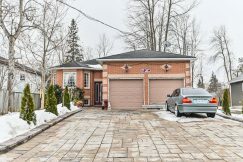 In an effort to keep up with the huge demand for homes in markets like Toronto, lenders had been rapidly approaching the Finance Department’s $85 billion annual limit on insured mortgage lending. The Toronto Star’s Susan Pigg reports that they had already reached $66 billion by July. 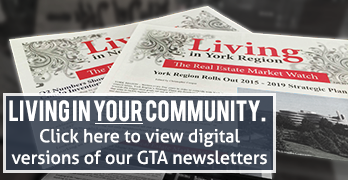 To get some industry perspective on the changes, GTA Real Estate News caught up with mortgage broker Shubha Dasgupta, AMP, a member of the team at Dominion Lending Centres Bedrock Financial. Dasgupta says the changes are unlikely to have much of an impact on consumers’ access to mortgages – but they might mortgage lending at Canada’s larger banks. According to Dasgupta, the changes are an understandable development, noting that Canadians have enjoyed a very high level of mortgage accessibility in previous years. “There’s been an easy access of funds, either through low interest rates, or the criteria. And the way that the government has reined it in slowly – with the lower amortizations first, and with the different rule changes for first-time borrowers and things like that – it’s becoming more and more restrictive,” explains Dasgupta. Meanwhile, for Dasgupta and his colleagues in the property financing industry, it’s just a matter of “playing it by ear” and continuing to adapt to ongoing regulatory changes as they come. Need more info on obtaining a mortgage? Any home buyer should keep in mind that selecting a mortgage is a very personal decision, and should be in line specifically with your own financial situation. Sitting down with a GTA-based financial advisor or Accredited Mortgage Professional (AMP), who can understand your needs and has up-to-date information on rates, is the best way to get started on figuring out a mortgage that works for you. Not sure where to find a great GTA mortgage advisor? Contact Living Realty and we’ll be happy to point you in the right direction. To read more from Shubha or get in touch with him for any mortgage-related inquiries, feel free to visit him online at www.torontosbestmortgage.com.